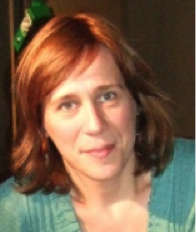 Sandra Alves has a PhD in Biology (Human Genetics) from the Faculty of Sciences, University of Porto. For several years, her research activity was focused in Pharmacogenetics, before she became interested to Lysosomal Storage Diseases (LSDs). Since 2004 she is Auxiliary Researcher at the National Institute of Health Dr. Ricardo Jorge (Research and Development Unit – Department of Human Genetics) and Head of the Lysosomal Storage Diseases Research Group. Present research interests are focused on the study of the Lysosomal Storage Disorders. Her major research goals include the study of variation in genes determining missorting of lysosomal proteins (via Man-6P dependent and independent pathways) and the development of innovative therapeutic approaches for LSD-causing mutations, namely through splicing-modifying antisense oligonucleotides and RNAi. She has over 20 articles published in international scientific periodicals with referees and more than 40 communications in scientific conferences. For more details download the Memorandum of understanding for this COST Action, which contains a detailed outline of the aims, objectives and workplan for BM1207.